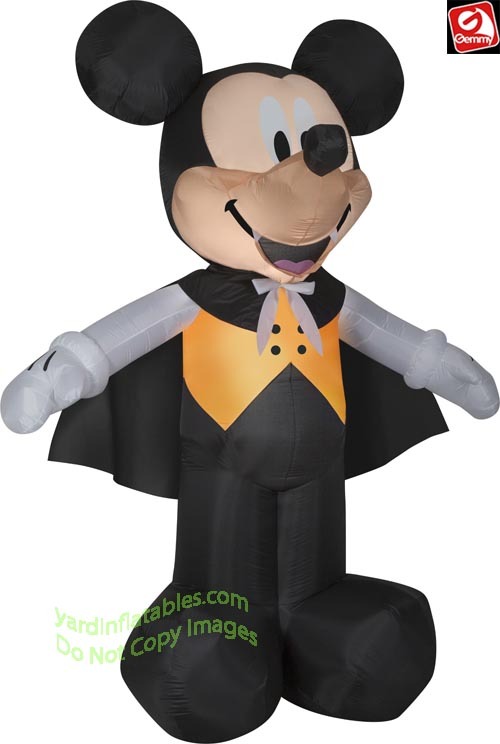 Mickey Dressed As A Vampire with a Cape! Mickey Even Has Fangs! This Gemmy Air Blown Inflatable Halloween Decoration comes with a Heavy Duty fan, internal lights to create a glowing night-time display, yard stakes and tethers.